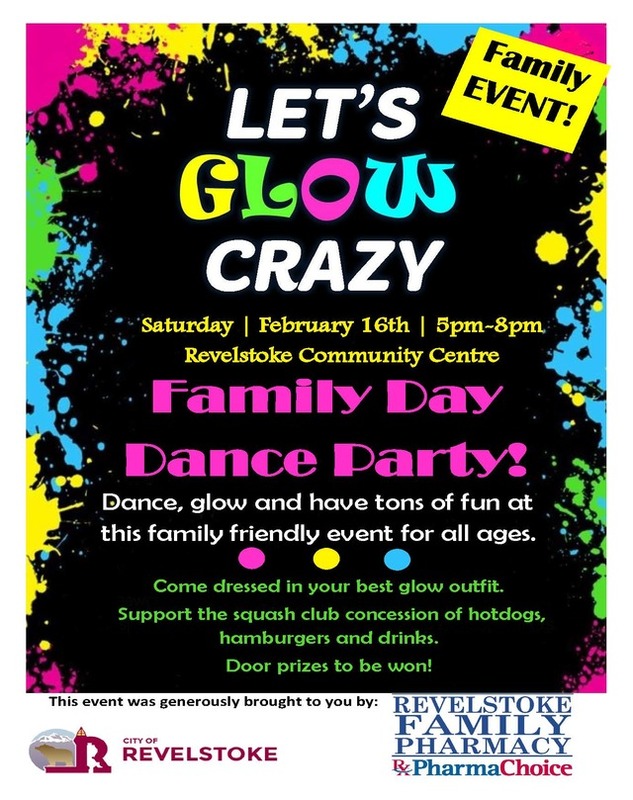 A big THANKS to Revelstoke Family Pharmacy who is our title sponsor for the City of Revelstoke Parks, Recreation and Culture's Let's Glow Crazy Family Day Dance. Due to their support, this event is now FREE of entry! Our local squash club is fundraising for a new squash club and will be hosting a concession at the dance. Support this local group by purchasing food and drinks. Come dressed in your best "glow" outfit and get ready to boogie to our live DJ.